Franklin Cook, SPNAC editor and publisher, walks to promote suicide prevention — on Oct. 17, 2009, near Sturgis, S.D. continues his work as a consultant, trainer, and speaker. Franklin maintained Suicide Prevention News & Comment regularly from October 2008 to March 2010, and it is being kept online because a number of posts continue to attract readers. For a time, approval of comments made were “on hold,” but comments are once again being moderated. All of the content will continue to be archived as long as there is an interest in some of the posts and WordPress provides this basic service for free. Please see the original announcement about SPNAC being archived or contact Franklin for more information. Suicide Prevention News and Comment’s mission is to help communities keep up-to-date on developments in the fields of suicide prevention and suicide grief support. The website is intended to be a reader-focused resource, featuring news and information from across the United States and Canada (some posts reference stories of interest from elsewhere that are published in English). It is designed in the style of a newspaper (front-page stories in columns) and is presented in a blog format so readers can view all of SPNAC’s posts in the archives and post comments themselves if they’d like to. SPNAC’s editor posts headlined items to the website, which are chosen and presented based on editorial guidelines that delineate standards for newsworthiness, objectivity and point of view, practical implications and safety, inclusiveness, and literary merit. SPNAC readers may post a comment by clicking on the “Comment” link at the bottom of a headlined item and providing a valid email address. SPNAC reserves the right to determine whether to publish a comment or not: If a comment is edited by SPNAC, [edited portions will be noted within bracketed text, like this]. This policy on comments is not intended to be exclusive: It is designed to encourage conversations in keeping with the quality of SPNAC’s content and the purpose underlying SPNAC’s editorial mission. SPNAC is an independent blog, edited and published by Franklin Cook, a long-time suicide prevention advocate and suicide grief outreach worker. He operates Unified Community Solutions, a public health consultancy that provides leadership, technical assistance, and training throughout the United States to improve services to survivors of suicide loss (a survivor of suicide loss is any person who has been deeply affected by the suicide of someone with whom he or she is in a close relationship). You may follow Franklin and SPNAC on Twitter (if you’d like to, you can read more about Twitter). You can read a short bio of Franklin on the website of the National Suicide Prevention Lifeline, where he serves on the Consumer Survivor Subcommittee. 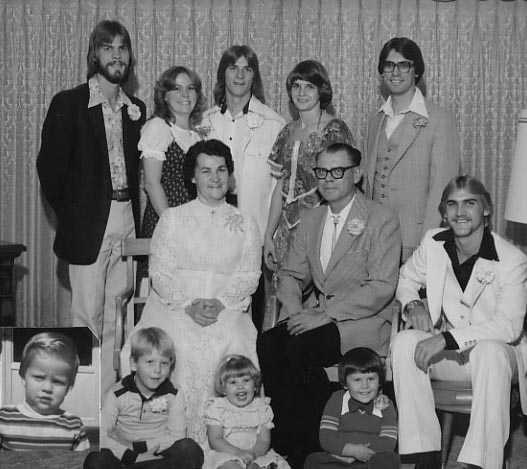 Franklin’s father, Joseph, died of suicide in November 1978. He spoke about his father’s death, how a survivor support group helped him, and some of his views on suicide grief in a 30-minute talk [if you listen to the talk, please also read the comments about it, below] during the 10th annual National Survivors of Suicide Day event on Nov. 22, 2008 in Rapid City, S.D. You may also listen to him talk about his journey of healing in a brief presentation on the Lifeline Gallery (where any survivor can also create his or her own avatar and presentation). I am so glad to have discovered your site. I will make much use of it. My wife is bipolar and we have been involved in suicide prevention efforts in Tennessee. We have two site that we use: http://www.hopeworkscommunity.com and http://www.hopeworksadvocacy.wordpress.com. You are doing great stuff and good service. Keep up the good works. This is a great resource. Thanks for providing it. I teach social work at Temple University and do research on suicide prevention/intervention/postvention for youth and their families. I appreciate the easy access to important information on suicide that you provide in this site. Thank you so much. Glad to know your site is available. I facilitate two Survivors of Suicide groups in Georgia, getting involved as a survivor since May 1987 when my fiance’ took his life in my presence. I wish this resource and the many others now emerging had been available twenty years ago. Best wishes and thank you! So glad I discovered your site! Recently loss my beloved sister to suicide, and I am now highly involved in suicide awareness and prevention! My mother took her own life when I was 9 months old. I believe she suffered from a mental disorder called bipolar it is now known as manic depressive disorder which I was diagnosed with at eight yrs old. My first non fatal suicide attempt was at age 12. My daughter developed her first suicidal plan at age 5 and was diagnosed as manic depressive shortly after that. I share these facts with you because you may thank a suicidal person is just going through a rough patch but many of us that suffer with thoughts of suicide have mental illness that does not go away. I am 37 years old and I have thought about suicide my entire life it is not a temporary problem for me it was not temporary for my mother and it is not temporary for my daughter. I remember the first time I heard it is a permanent solution to a temporary problem I was immediately excited because there was a permanent solution I did not have to continue feeling the way I feel. Luckily I have not been successful in any of my many suicide attempts. My daughter has not made any attempts only plans. I know we are not in control of how we feel and think and we don’t feel this way because we’re going through a rough patch. We will always struggle with these thoughts and feelings so please do not give us a permanent solution of death. Help a suicidal person by being a friend who they can talk to freely about their thoughts and feelings and not be judged or told their feelings aren’t real or that they just need to get over it . Be a good listener and if you think that they may go through with a plan get them help immediately.I have a person like this in my life and it has made a wonderful difference. I trust her to get me help if I am planning an attempt because I can talk to her about how I think and feel without being judged which gives me a lot of relief. Just being able to talk about it openly without fear of rejection has made a huge impact on my quality of life. Be the person they can trust with the scariest and darkest thoughts they have and it will make a difference. I guarantee if we could change the way we think and feel we would no one wants to feel this way. Living is a struggle for me daily. Death is easy living is hard. Be an emotional support help make living just a little easier to choose. Please see the blog “What Happens Now?” which is a meeting place for people who have attempted suicide and survived as well as those who have struggled with thoughts of suicide.